Feeling overwhelmed by the sheer quantity of marketing tools out there? You’re not alone. This article doesn’t list every marketing tool under the sun. Ahrefs never got funding. ~40M ARR and 60% YoY. Small team. … and continue to help us grow our revenue by +65% year over year. Some are free. Some aren’t. But they’re all useful. 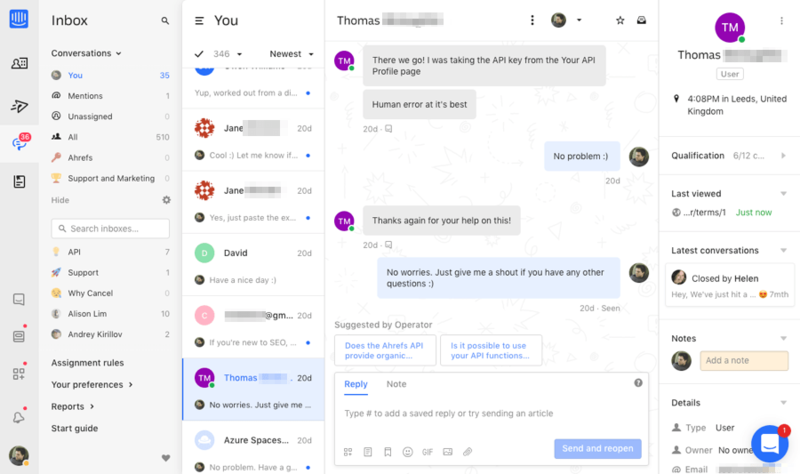 Intercom defines itself as a customer messaging platform. We use it for customer support. It’s what powers the live chat on our website. Everything’s managed via a Team Inbox, which allows many customer support operatives to handle inquiries at the same time. It’s what powers the in‐app messaging that customers see on our website. We use that to tell them about new blog posts, product features, etc. And it’s what powers our Help Center. Why we ❤️ it: Non‐intrusive design. Great UI. 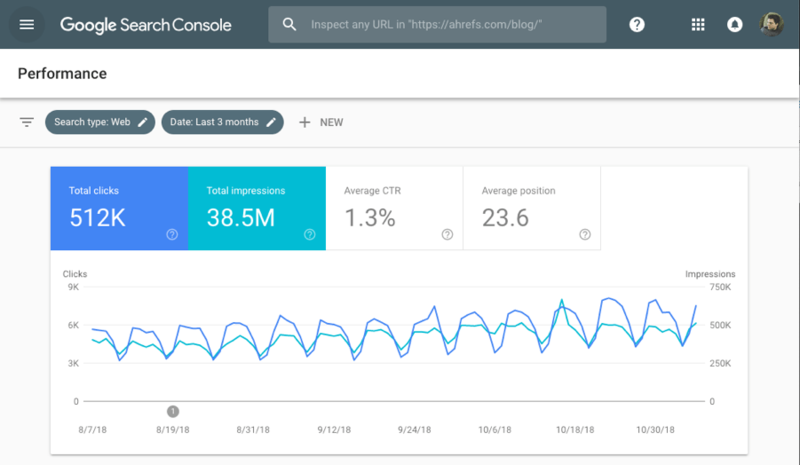 Google Search Console is a must‐use tool for any business with a website. It keeps you informed about on‐site issues, lists the keywords for which you rank in Google, and more. It even shows who links to you. We use it for many things such as identifying underperforming content. By that, we mean pages that rank high (positions 1–3) yet get a lower than expected average click‐through rate. Then we optimize our title tags and meta descriptions in an attempt to fix the issue. Why we ❤️ it: Provides valuable feedback. Completely free. Ahrefs is an industry‐leading SEO and marketing toolset that runs on big data. And yes, we really do use our own tools… a lot, actually. Keywords Explorer: Find and research keywords from our database of over 7 billion keywords. Site Audit: Diagnose technical and on‐page SEO issues. Content Explorer: Search over a billion web pages for content ideas. 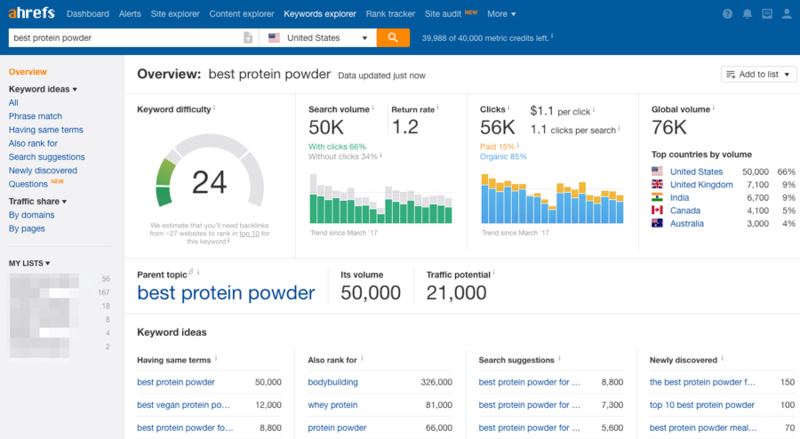 Rank Tracker: Track search engine rankings for up to 10,000 keywords. 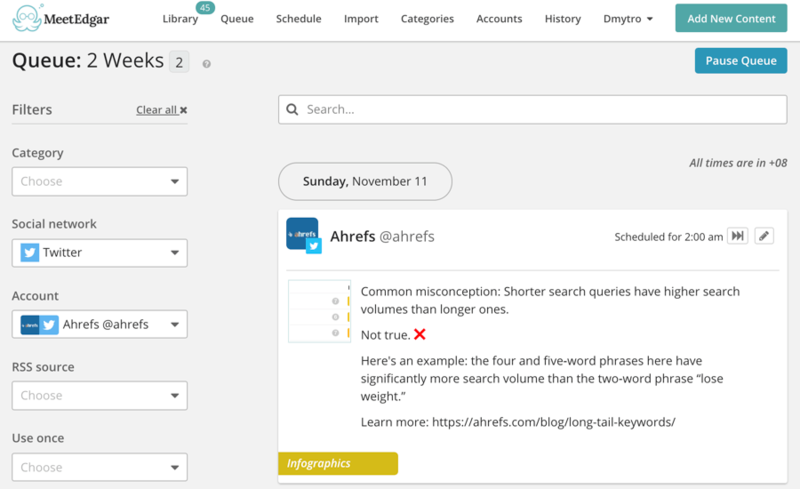 Alerts: Stay in the loop about new backlinks and mentions on the web. Site Explorer: Research competitors’ backlinks using our database of 15 trillion known links. Why we ❤️ it: We made it. It’s our baby. Plus it does some pretty unique stuff. It’s the CRM that makes this tool unique. Buzzstream keeps track of your contacts and conversation history across many platforms. Most outreach platforms don’t do that. It’s useful for reducing outreach faux pas, like sending cold pitches to those with whom you already have relationships. Buzzstream also does all the ‘regular’ stuff that you’d expect from such a tool. Automated follow‐ups, merge fields, open and click tracking, etc. Why we ❤️ it: Easy‐to‐use. Integrated CRM. Useful Chrome extension. Sequences. Google Trends is great for seeing whether a topic is increasing or fading in popularity. You can use it to see how the popularity of one topic compares to another. This can be an interesting exercise when brainstorming content ideas for your blog. To illustrate what I mean, take a look at the two topics above. You can see that interest in Scrapebox has fallen massively over the past few years whereas interest in email outreach is growing. So it would likely make sense to write about email outreach over Scrapebox. That topic is likely to attract the most traffic over time. Read our full guide to using Google Trends for keyword research. Why we ❤️ it: Data comes from Google. It provides unique insights. Some 💪 alternatives: None. It’s the only tool of its kind as far as we’re aware. Meet Edgar is a social media scheduling tool. We use it to automate the posting of updates on our Twitter profile. It also integrates with Facebook and LinkedIn. What makes the tool so special? It saves you time. A lot of time. You set your schedule, load in your content, and “Edgar” takes care of the rest. 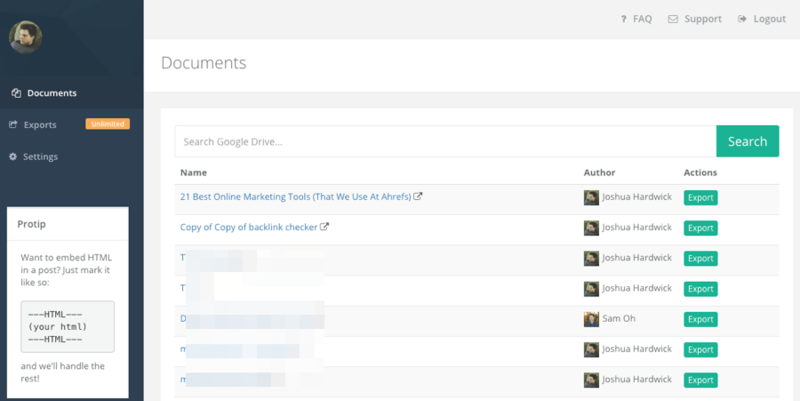 It can even scan your blog posts to create “auto‐variations” of your scheduled updates. There’s a browser extension. So it’s quick and easy to add content while browsing the web. You can also upload updates in bulk if that’s your thing. Why we ❤️ it: Saves time. Integrates with most major social platforms. CoSchedule is a marketing organization and scheduling app. The idea is to bring all your marketing efforts into one centralized interactive marketing calendar. We use CoSchedule for social media management. Specifically, scheduling our LinkedIn posts. Requeue feature: we use that to fill gaps in our LinkedIn calendar. Best time scheduling: we’re experimenting with this feature to determine the best possible traffic times for our messages. The app also integrates with Twitter, Facebook, Pinterest, and Tumblr. You can also use it to schedule email marketing. Although we don’t use it for that. Why we ❤️ it: Video upload and preview functionality. Requeue feature. Scheduling. Hunter is a tool for finding anyone’s email address. All you need is the person’s name and the company they work for (e.g., Tim Soulo and Ahrefs). You can also search for email addresses associated with any website. Do that for ahrefs.com, and you’ll get Tim Soulo’s email address, plus eleven others. There’s a browser extension to make it easy to do this for any website you’re visiting. All email addresses in Hunter have a Confidence Score. This tells you how likely the email is to be delivered. Why we ❤️ it: Browser extension makes life easy. Good results (although not quite as good as some other tools). Google Keyword Planner is the keyword research tool that everyone has heard of. It’s free, and most other keyword tools derive at least some of their data from it. Enter a keyword. Get keyword ideas and suggestions. Enter a list of keywords. See metrics for all of them, including search volume ranges. It’s useful because it throws back some keyword ideas that other keyword tools won’t give you. It’s not so useful because suggestions are somewhat limited and it doesn’t show exact search volumes. Learn more about Google Keyword Planner in our full guide. Why we ❤️ it: Free to use. Data comes from Google. Gives some unique suggestions. Facebook Audience Insights tells you, well, insightful information about your audience. It also does the same for everyone on Facebook. Its primary use is to give advertisers the data they need to run better‐targeted Facebook ads. Audience Insights tells us that 100–150K monthly active users match that description. Very useful if you want to promote your new blog posts to a specific audience, as we do. Why we ❤️ it: Big data. Insanely powerful. Free. Some 💪 alternatives: Nothing. Facebook is the only source of this data. SERPsim previews how your web pages might look in Google on desktop and mobile. Enter your proposed title, meta description and URL to get started. You’ll also see the width of each of those elements in pixels. That’s useful because Google truncates them once they hit a certain width. It’s ~590px for titles, and ~930px for meta descriptions. Truncation is bad because it looks ugly. It will likely lead to a lower click‐through rate. And a lower click‐through rate leads to less traffic. Use this tool to make sure your meta tags fall within Google’s limits before publishing. Why we ❤️ it: Accurate and free. Good support. Bugs are fixed fast. Google Alerts tells you when new mentions of specific words or phrases occur on the web. You set up a Google alert for any keyword, and Google sends you daily/weekly/real‐time alerts of any new mentions. You can use these to see where your competitors are getting mentioned. Or to see where you’re getting mentioned. Or even to see which websites are talking about topics related to your business. Setting them up is easy enough. Go here, enter a keyword, and set your alert frequency. Done. Why we ❤️ it: 100% free. Useful for finding sites that mention competitors. TubeBuddy is a YouTube channel management and video optimization toolkit. In other words, it’s a Chrome extension that provides insightful data for content creators and channel managers. And it overlays the bulk of this data on the YouTube interface itself. See a “Keyword score”: This tells you how any keyword scores in terms of search volume and competition. Analyze the competition: See keyword stats for competitors. That includes the number of competing videos that use the keyword in their title, and how many subscribers the top competitor has. See the most used tags: Gain insight into the most commonly used tags from the current top‐ranking videos. To summarize, it helps you learn from—and outrank—the competition. Why we ❤️ it: Lightweight. Has a free tier. Packed with valuable insights and data. Google is a search engine. We all know that. But Google is also a powerful marketing tool. You just have to know how to use it, and that means using search operators. Rather than explaining what search operators are, let me show a couple of examples. Click here to see it in action for Tim Soulo. Here are another 41 Google search operators we use regularly. Why we ❤️ it: Free. Very powerful (if you know how to use it). GoToWebinar is a webinar hosting tool. Use it to present webinars to up to 1,000 people. It includes chat and polling functionality for webinar participants, plus the option to poll your audience. People can even join via VOIP or phone. To be 100% transparent, we don’t use GoToWebinar to host our own webinars. But we do sometimes partner with other brands to run them. GoToWebinar is the tool that’s almost always used, so we use it to join and host said webinars. Why we ❤️ it: Reliable. Flexible. Free to use for participants and guest hosts. 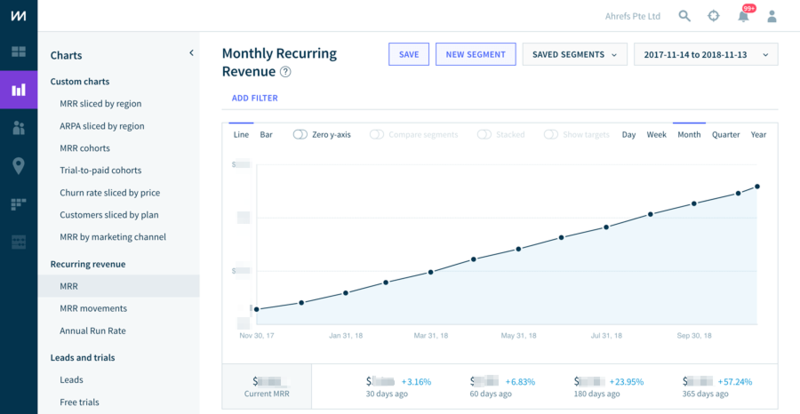 ChartMogul is a business tracking tool for saas companies. We use it to keep track of our ARR/MRR and subscription metrics. It integrates with subscription billing providers like Stripe, PayPal, and many others. That means it provides a centralized location for your data and makes data analysis easy. You can dig into churn rate and other useful metrics with no effort at all. Why we ❤️ it: Great UI. More powerful (and less messy) than spreadsheets. GTMetrix analyzes the speed of your web pages and recommends how to improve them. This fits into our marketing because we derive a lot of traffic and leads from SEO. And Google has stated on many occasions that site speed is important. Personally, I use it occasionally to double check that our blog post images are optimized. Reason being, even a few unoptimized images can add a second or two to your load time. It pays to avoid this if you can. Why we ❤️ it: Free for basic use. 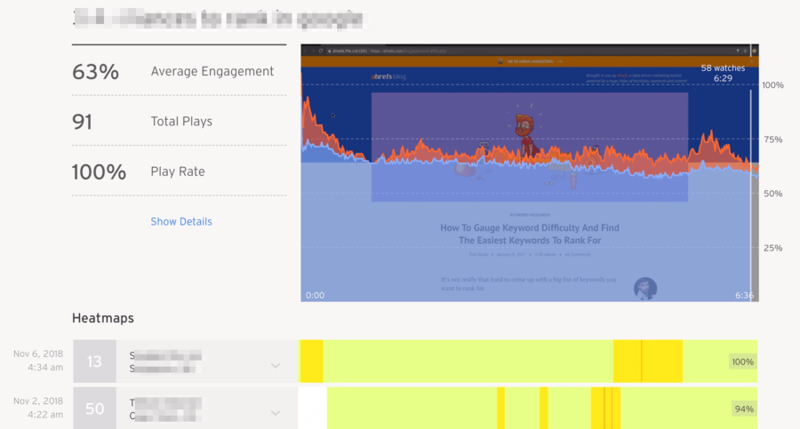 Gives more detail than Google’s PageSpeed Insights tool. SurveyMonkey is a survey creation application. It’s sort of like Google Forms (which we also use, by the way), but better. It analyzes data for you. There’s no need to create pivot tables and whatnot like you have to when using Google Forms. There’s also “skip logic.” That’s where you change or skip the next question based on the respondents answer to the current one. That’s powerful, and something we’ve used before when surveying our audience. Most of the marketing collateral for SurveyMonkey revolves around surveying customers and employees. We tend to use it more to survey the marketing community to get data for blog posts. Like this one. Why we ❤️ it: Powerful. User‐friendly. Conditional/skip logic. Wistia is a video hosting platform for marketers. Not only is the player customizable, but there’s also the functionality to add opt‐ins to the video itself. Analytics is another area where Wistia shines. You can view data analytics on a per‐user basis. See how long each person watched your video. See where each user dropped off. See when they rewind to watch a segment of your video again. That data can help you hone your video marketing strategy indefinitely. We use Wistia to host product videos. Why we ❤️ it: Distraction‐free video player. Data analytics on a per‐user basis. Wordable does one‐click exports from Google Docs to WordPress. But it doesn’t just export plain text. It uploads all images and translates any formatting to HTML. In other words, it saves hours of time—time that would otherwise be spent editing and formatting content in WordPress. This is how we upload all blog posts to the Ahrefs Blog. Is it 100% perfect? Not at all. But there’s nothing a quick find and replace won’t fix. Why we ❤️ it: Saves a lot of time. HTML is relatively clean. MailChimp is an email marketing application. This is how we send our newsletters, product announcements, and other marketing emails. In all honesty, we’re quite basic users. 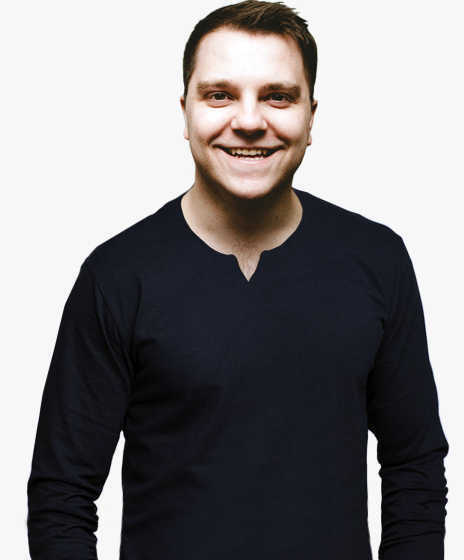 We don’t use many of the more advanced features—A/B split testing, retargeting, etc. Still, it’s easy to use, has a nice UI, and does everything we (and most businesses) need it to do. If you’re just starting out, their free tier lets you send up to 12K emails per month to up to 2K subscribers. Why we ❤️ it: Slick UI. Easy to use. Reasonably priced (there’s a free tier too). These are the tools that help us do our jobs. Anyone can use them—not just marketers. Slack: Messaging and collaboration tool for teams. This is how we communicate. Basecamp: Project management tool. Used to keep track of ongoing projects. IFTTT / Zapier: Marketing automation tools. Useful for automating dull repetitive tasks. Trello: Organization tool based on kanban boards. Airtable: Spreadsheets + Trello = Airtable. I use it for managing the Ahrefs Blog. G‐Suite: Documents; spreadsheets; presentations; etc. All in the cloud. We use this daily. Evernote: Note‐taking app. My ideas for blog posts live here. Google Calendar: Meetings; Webinars; Tim Soulo’s birthday. It’s all in there. Photoshop: Photo editing app. Useful for resizing images for blog posts and social media. Skitch: Image annotation tool by Evernote. Used for editing the images in our blog posts. Premiere Pro: Video editing app. Used for editing our YouTube videos. Hemingway: Text editor. Helps to make copy bolder and clearer. I use it for blog posts. Grammarly: Spelling and grammar checker. Helps to keep our blog posts mistake‐free. CloudApp: Screen capture tool with instant cloud sharing. Also records GIFs. Dropbox: Cloud storage and file sharing tool. Useful for collaborating remotely. 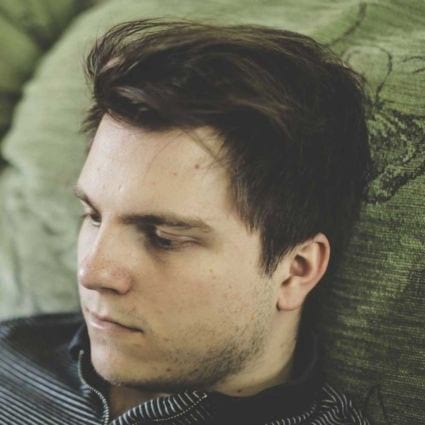 Toggl: Time‐tracking app. I like to know how long things take me. Skype: It’s rare that we use this, especially now that Slack has video calling. Notion: Team workspace. We use it for internal docs. The UI is beautiful. So these are all the marketing tools we use at Ahrefs. Does that mean these are the right tools for you too? Not necessarily. All businesses are different. What’s right for us may not be right for you. These are merely the tools that have made our lives easier in some way or another. Hopefully, you’ve made some new discoveries! Do you know of any other tools that would be useful for us? Drop us a line in the comments.